Given the pervasiveness of stress and anxiety in our culture it is important to develop and implement interventions that can be easily utilized by large numbers of people that are readily available, inexpensive and have minimal side effects. 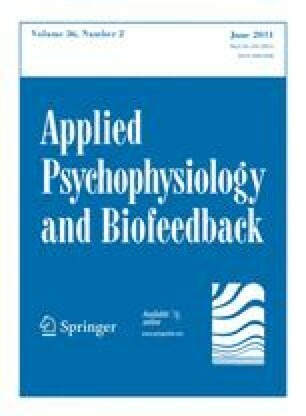 Two studies explored the effectiveness of a computer-based heart rate variability biofeedback program on reducing anxiety and negative mood in college students. A pilot project (n = 9) of highly anxious students revealed sizable decreases in anxiety and negative mood following utilizing the program for 4 weeks. A second study (n = 35) employing an immediate versus delayed treatment design replicated the results, although the magnitude of the impact was not quite as strong. Despite observing decreases in anxiety, the expected changes in psychophysiological coherence were not observed. The authors wish to acknowledge with gratitude the following students: Rachel Flynn, Matthew Tomoda, Yasmin Ebnezera, Alex Byland, Stephanie Tigue, Mike Livesey, James Koepfler, and Tara Williams. We are also thankful to the College of Integrated Science and Technology for the grant that was received for the funding of the purchasing of the HeartMath software and hardware used in the cross-over study, as well as to the financial contributions from the Departments of Biology, Psychology and Graduate Psychology for the funding of the calculation of coherence values for individual biofeedback sessions. Finally, we want to thank Mike Atkinson and Rollin McCraty of HeartMath, LLC. for their patient assistance over the course of these two studies.